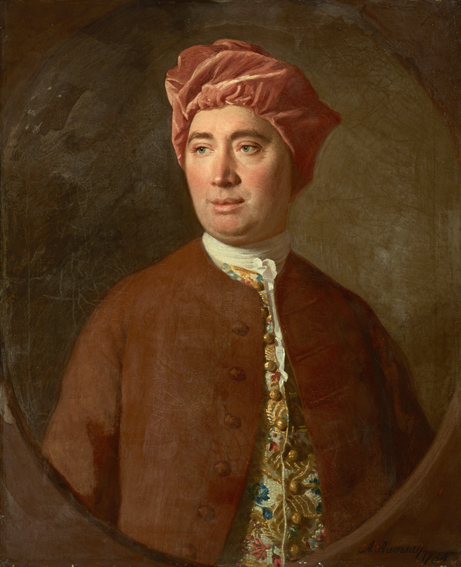 In honor of David Hume’s birthday, May 7, 1711, let me share anew my history of ideas travel series I created in honor of my favorite philosopher in his home city of Edinburgh, Scotland. I’ll soon be in Edinburgh again, this time for at least one year, to pursue a Master’s Degree in Intellectual History at the University of Edinburgh. I can hardly express how thrilled I am at the prospect! I’ll be expanding this Hume series while I’m there. Hello, friends of Ordinary Philosophy! I’m pleased and excited to announce my upcoming adventure: my first philosophical-historical themed adventure, and my first trip to Edinburgh, Scotland! I’m taking a series of trips to places around the world, where I explore the lives and ideas of great thinkers in the places where they lived and worked. I’ll follow in the footsteps of thinkers who are no longer alive, since those who are still telling their own stories. But those who are no longer alive in the body live on in the ideas that they pass on, and in the example they provide for us to follow. I’ve decided to start with the philosopher I most admire as a person as well as a thinker, the great David Hume. He was not only revered for the brilliance of his ideas and his honesty in presenting them, but also as a premier example of a genial, generous, great-hearted person; so much so, in fact, that one of his closest friends nicknamed him ‘Saint David’. So off to beautiful Edinburgh I go! There, I’ll visit the places where he worked, thought, wrote, studied, and rested. I’ll be traveling there in the first two weeks of May, and will be writing throughout the trip. I’ll be writing in this blog not only about his ideas, but about what I can discover about his everyday life, and whatever feeling of his time and place I manage to uncover in my time there. If you have any questions for me to answer while I’m there, or pictures you’d like me to take for you, or any information you have that could help me with this project, I’d love to hear from you! Happy 303rd Birthday, David Hume! The Tale of the Magic Toe – Superstition? Or What? This entry was posted in Happy Birthday!, Traveling Philosophy / History of Ideas, Written by Amy Cools and tagged 102" x 69", 2015, A Hill and a Wall in Edinburgh, Art Quilt, British History, David Hume, Edinburgh, Edinburgh Quilt, Enlightenment, Enlightenment History, Government and Freedom, history, History of Ideas, Philosophy, Scotland, Scottish Enlightement, Scottish Enlightenment, travel, travel blog, Traveling Philosophy / History of Ideas, Water of Leith. Bookmark the permalink. Cheers, welcome back, and good luck! Hello, Ed, and thank you for your comment, I’m very glad you like this series. I look forward very much to visiting Chirnside and continuing my series on Hume, your blog post is very interesting. Let’s have a chat when you and I are both in Edinburgh! Thanks. I did see that post. Looks magical in the snow. If you’ve ever thought of coming to Newcastle, there’s a pretty vibrant philosophy group there that puts on events and has taken over a journal you might like. Cheers. Thank you! I was in Newcastle a couple of months ago, and would love to visit again. Thanks for the Philosophy share, too!